The very first day of the Auto Expo 2012 had the Mahindra and Mahindra showcasing its widest ever product portfolio, now as the Expo draws to a close we will just take a recap of what all was on the display here. To start with the company put on display 27 vehicles ranging from Mahindra, SsangYong, Mahindra Reva, and Mahindra Navistar brands. The note worthy among these were its range of SsangYong, the four new world class products for in India, namely Rexton, Korando E, Actyon Sports and XIV-1 Concept, Reva NXR and compact SUV to name. Some of these vehicles were unveiled by Dr. Pawan Goenka, President, Automotive and Farm Equipment Sectors, Mahindra & Mahindra Ltd. & Chairman, SsangYong Motor Company and Yoo-Il Lee, President, SsangYong Motor Company. On the occasion Goenka had said that this event is an important platform for the Mahindra Group and they are displaying their comprehensive suite of mobility solutions for the first time. Also a part of this band wagon was Mahindra Reva NXR. It is just the car you for a drive in future. Reva NXR pictures show that it is a beautiful car designed to give an enhanced driving experience that too with the least affect on the environment with harmful emissions and pollution. 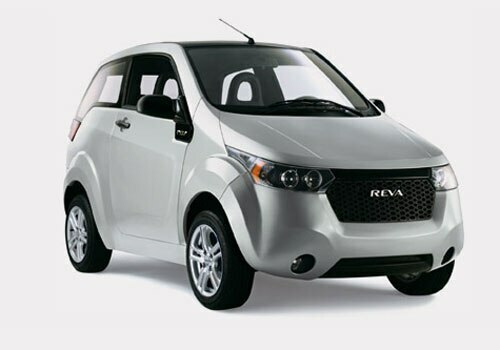 The Reva NXR review says that it is a stylish two door hatchback electric car from Indian manufacturer Mahindra Reva which is designed specifically for the Indian users. The little beauty, Reva NXR will keep you free from tensions of petrol and diesel prices touching skies, rather it will give an environment friendly alternative to go for. Mahindra & Mahindra a part of the US $ 14.4 billion group and its portfolio include products in the personal as well as the commercial vehicles segment. Reports are that the auto major will launch the Maxximo Passenger Van in the first quarter while the sub 4-metre Verito would be launched in the last quarter of FY 2012-13.